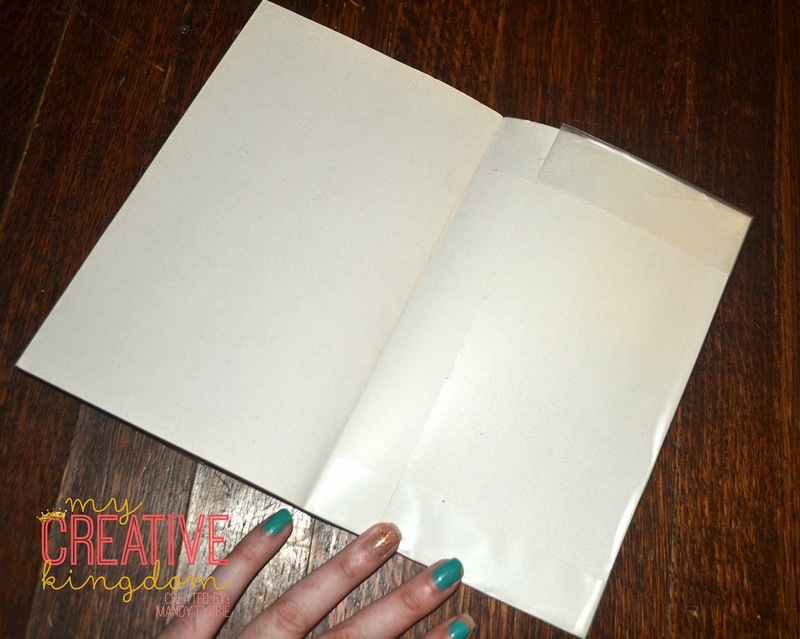 Fold the paper in half to create a midline. 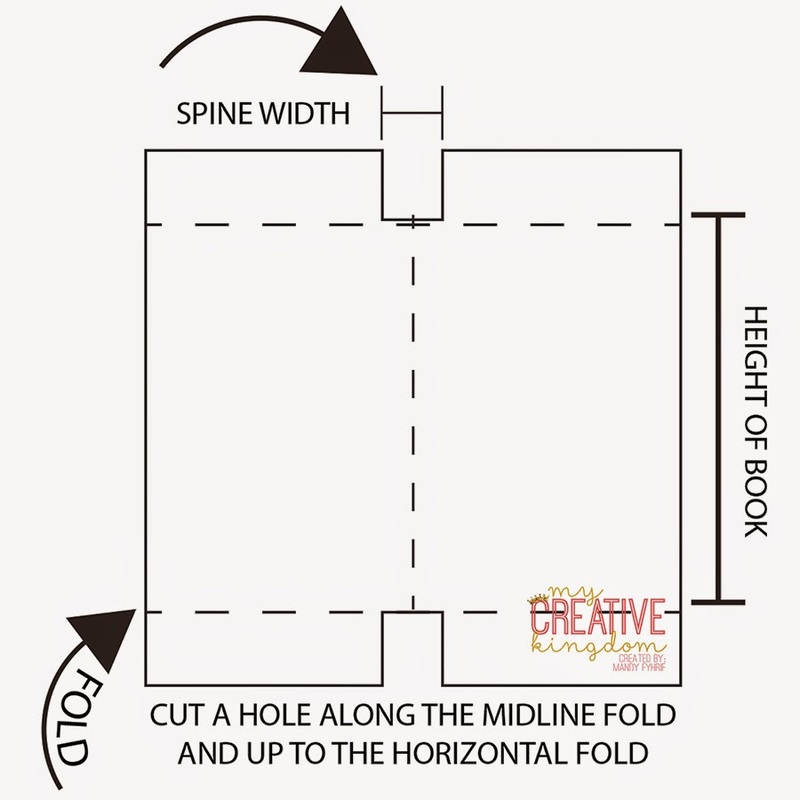 Cut a hole up the midline fold parallel with another hole at the top. 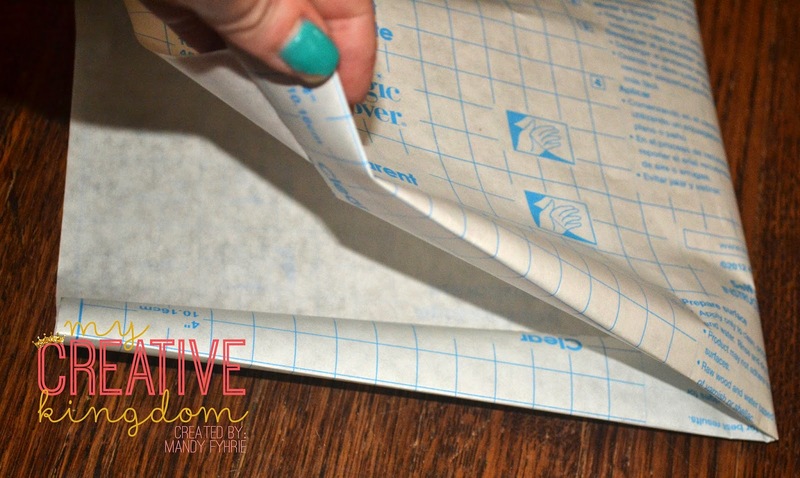 Use the grid on the laminating paper as a guide. 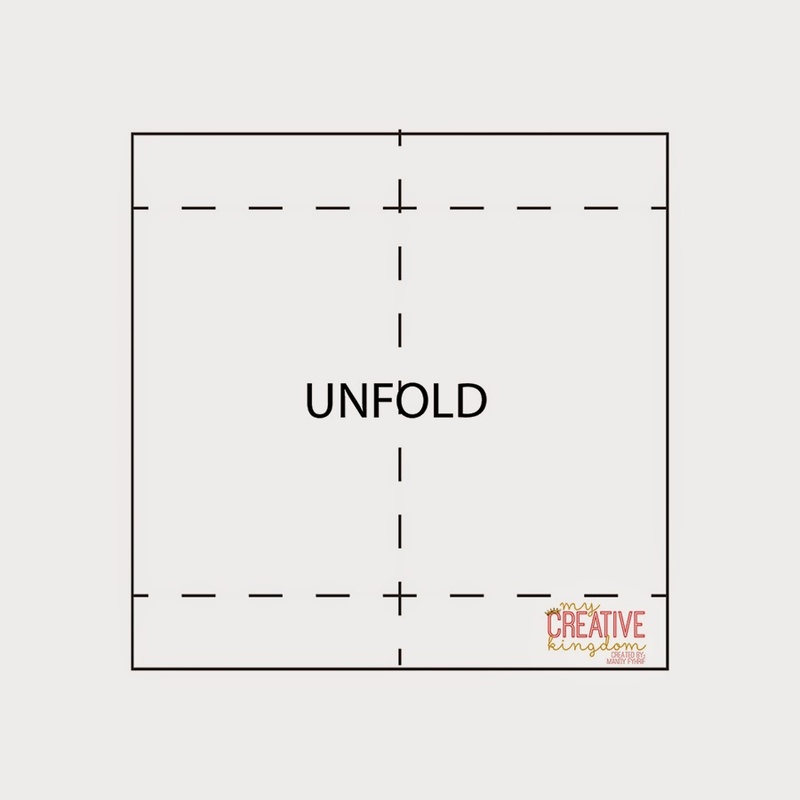 Do not cut past the horizontal fold. 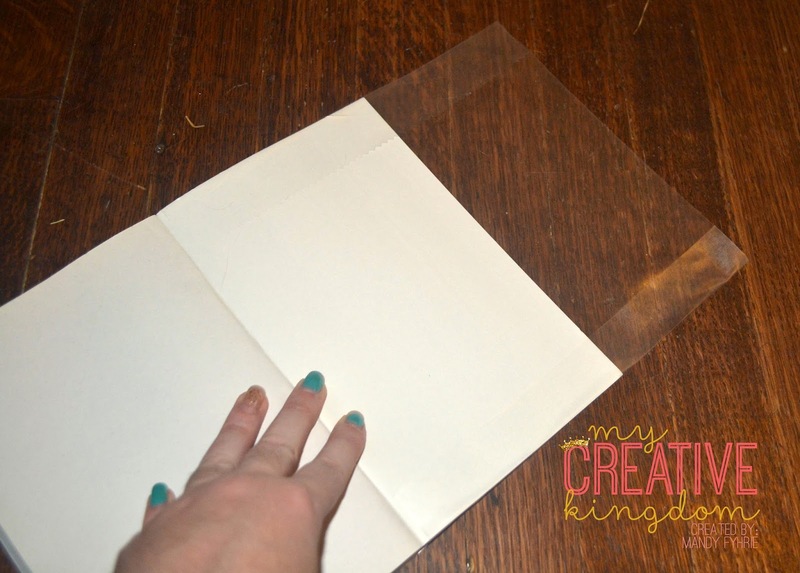 Place the laminate so that the sheen laminate is facing toward your working surface and the paper backing to the laminate is facing up. 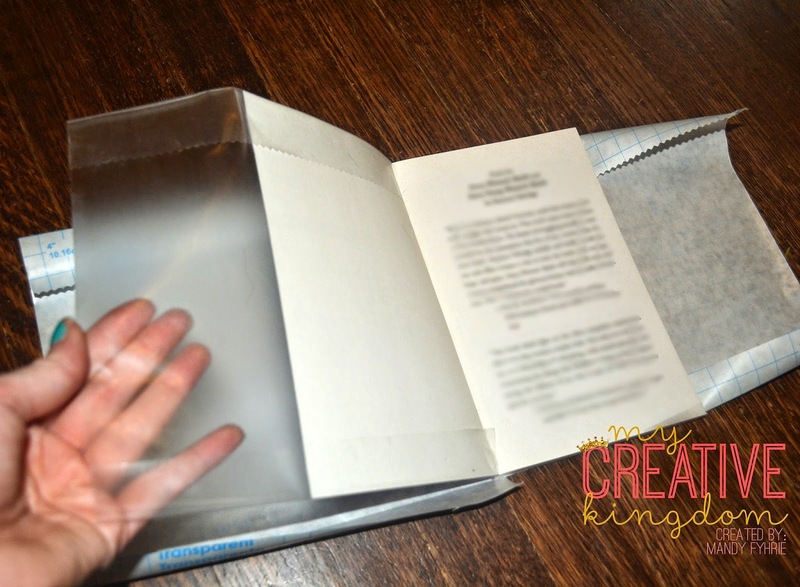 Peal off the laminate on the left side of the book. 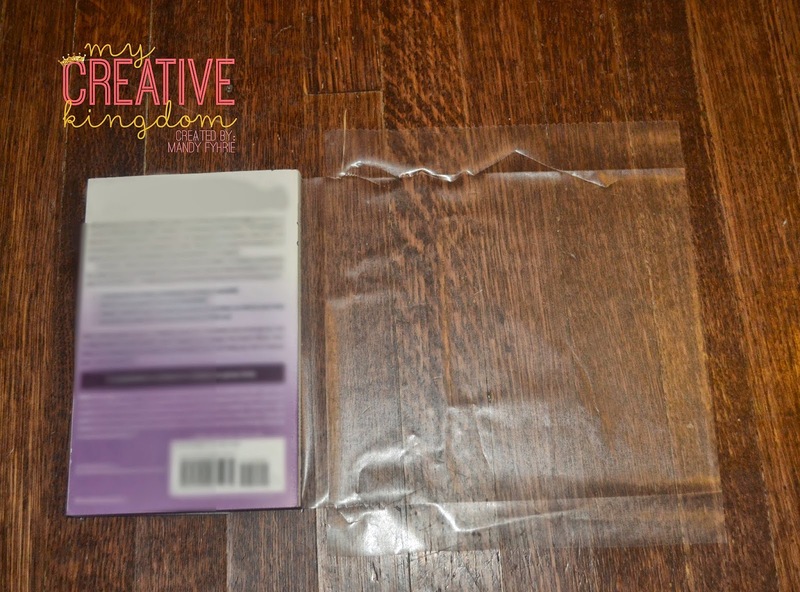 Place your book’s spine in the middle and smooth out the cover of the book on the laminate. 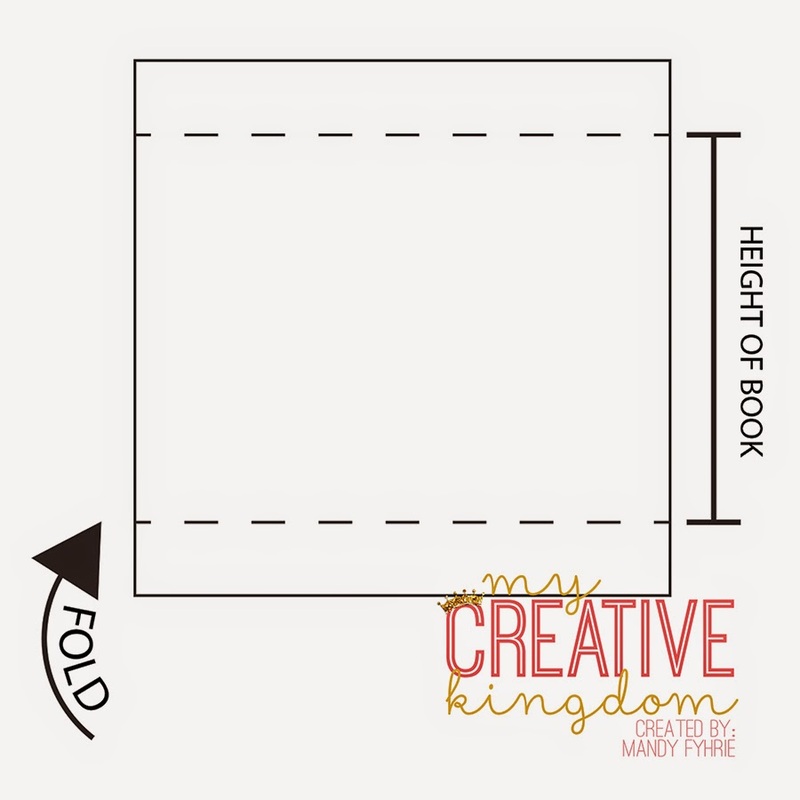 Open up the book, and fold up the laminate from the horizontal fold onto the inside cover. 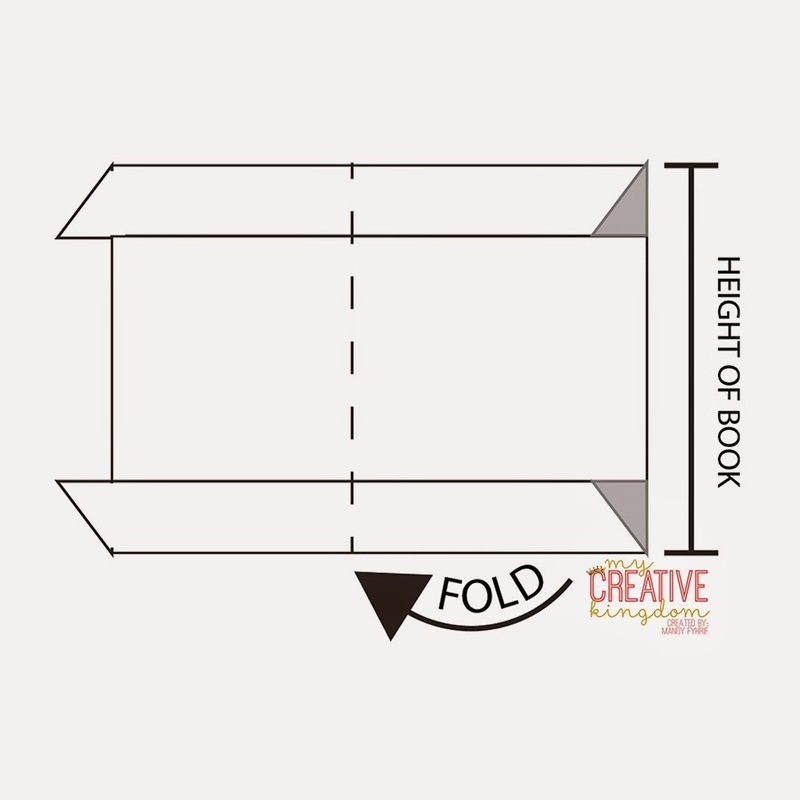 Fold over the excess from the height of the book into the cover. 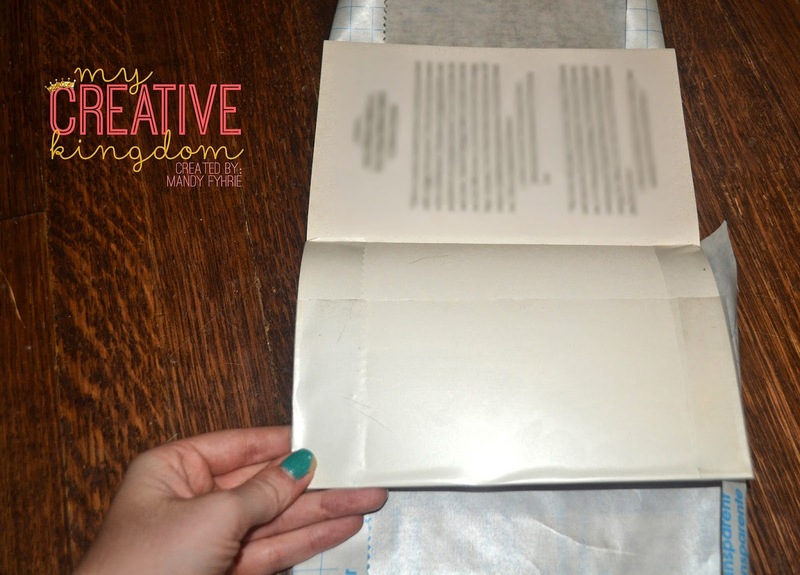 I used my fingernail to smooth out the surface, but you could use a credit card. 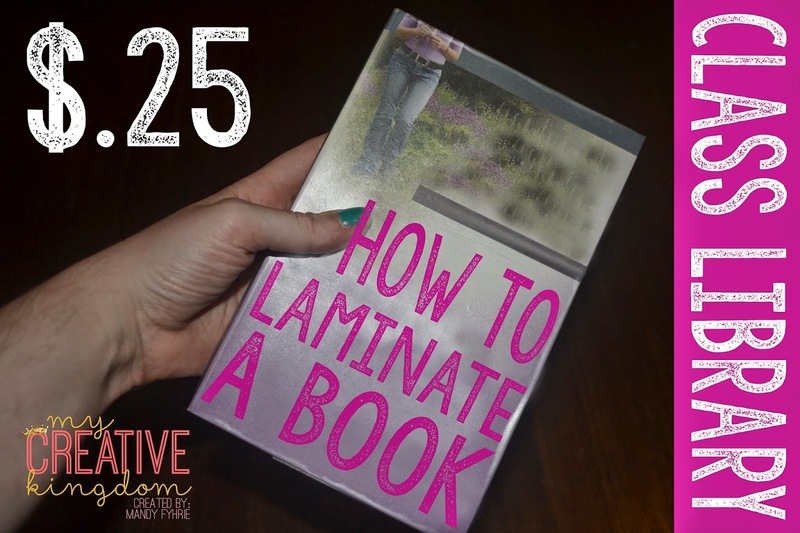 Gently peal off the rest of the laminate and repeat on the opposite side. 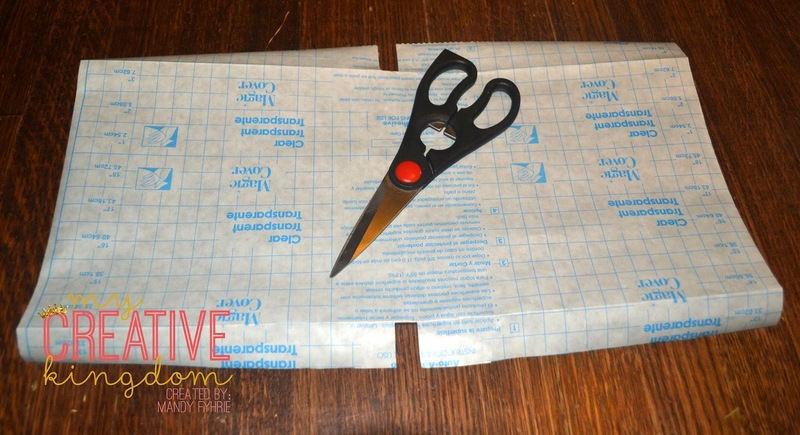 The Shelf liner is forgiving, so you can lift up and correct as needed. 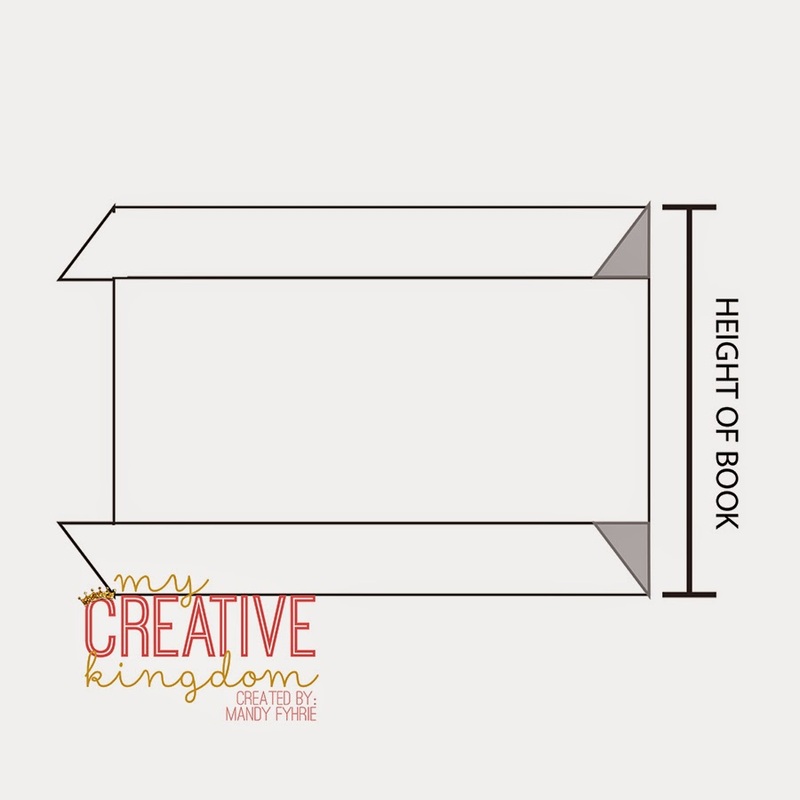 Pictures may not be reposted on other websites without prior permission. All pictures and rights reserved.